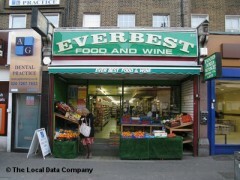 About: The EverBest is a convenience store that sells a variety of items including a selection of newspapers and magazines, National Lottery tickets and scratch cards, stamps and phone cards. In addition to this, they also sell a variety of groceries and are licensed to sell alcohol. A photocopying machine and cash machine is provided.